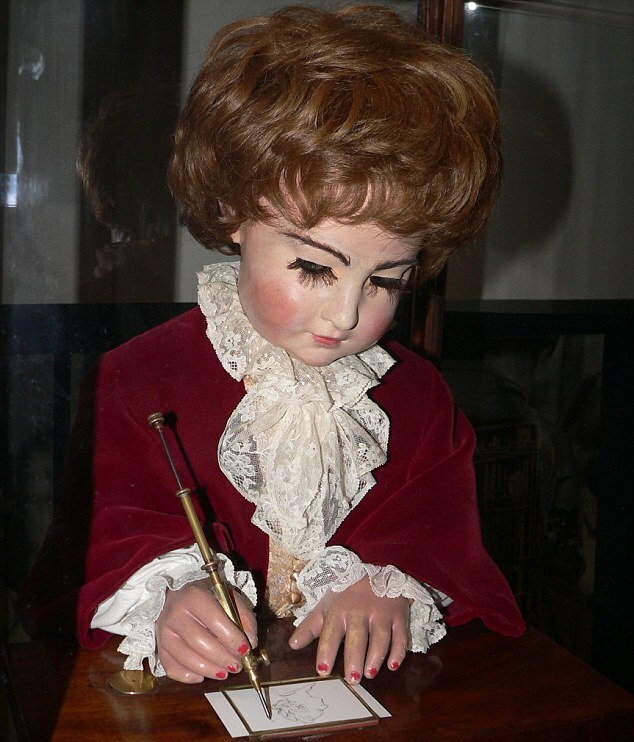 In the 1770s, the little creeper shown in this video, The Writer, was created by Swiss clockmaker Pierre Jaquet-Droz. When wound up, the 6,000 tiny parts and cams within the little boy work in tandem to move his quill into the pot of ink and back to his paper to write a sentence of up to 40 characters. The Writer is so significant because at the time, the ability to change and program the message that the boy writes was quite groundbreaking and even lauded as "the first computer." Jaquet-Droz is also the creator of The Draughtsman and The Musician, pictured below. While it can be agreed that these creations are very interesting and innovative, it also cannot be argued that these little creatures are creepy! And in the video, WHY would BBC lay over such creepy music as it scans over The Writer's soulless little eyes rolling around in its head? Perched at his table in a pitch black room, he casually writes a message about how he will eradicate all of humanity. A couple of interesting side notes: The Musician "breathes" - movements of her chest can be seen as she plays, also balancing her torso as a real musician would. Additionally, The Draughtsman (arguable The Writer's inferior little brother with only 2,000 parts) can draw four different pictures including a portrait of Louis XV and is sporting a lovely chipped manicure. 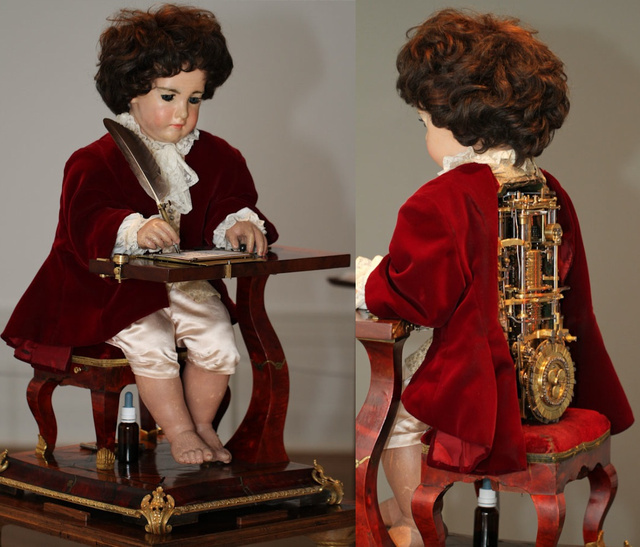 The Writer inspired the design of the automaton in the 2011 film, Hugo, directed by Martin Scorsese. 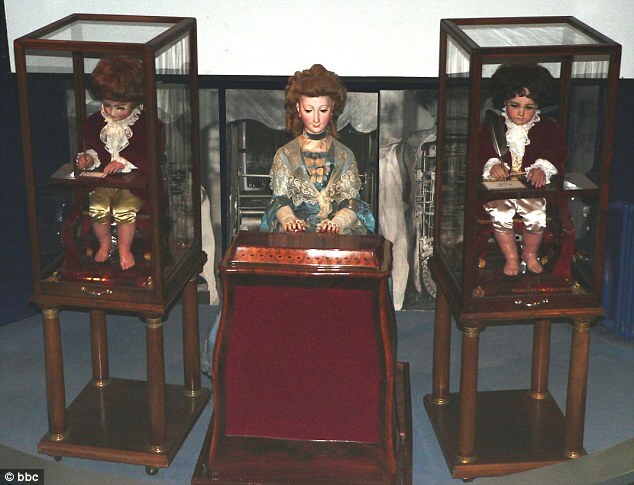 All three automatons are still functional today and can be seen in the Musee d'Art et d'Histoire in Switzerland. Yeahhh . . . . This definitely dips into the uncanny valley for me.